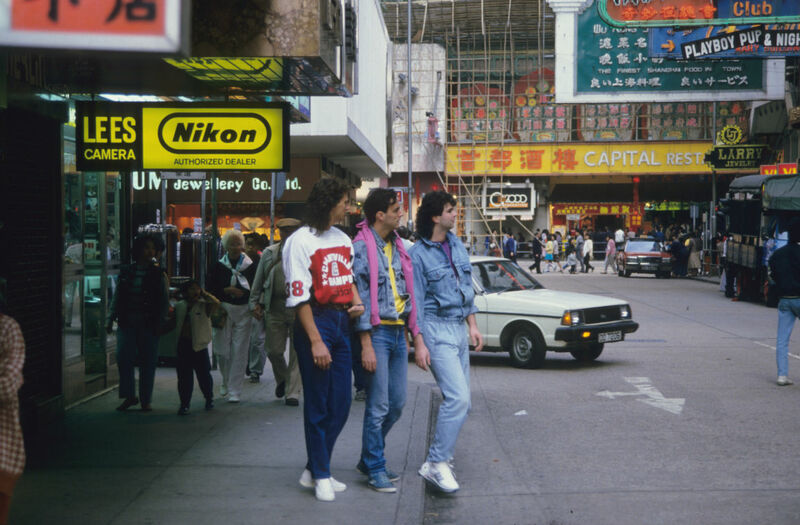 Three friends met again in 1984, and decided to focus their joint efforts on a professional musical career. Quickly enough three young talents got a record deal – with an Austrian label OK Musica. The record company owners appointed Michael Scheickl (23.03.57; represented Austria as a leading force of due Mess duo at Eurovision song contest in 1982, where their track Sonntag reached #10) to guide three young talents through all the curves and dangers of show-business. 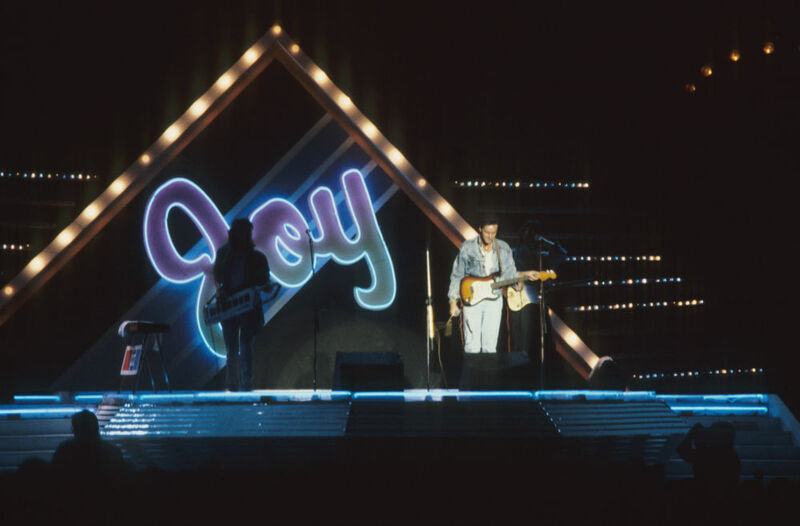 Due to their positive melodies and non-political lyrics JOY became one of the few bands which played behind the iron curtain – in 1986 and 1987 they’ve performed in DDR, at the TV-show Ein Kessel buntes. In the summer 1986 JOY returned to their studio to record a second album, which has been entitled Joy And Tears. The album release was anticipated by a single release - Japanese Girls. In Austrian charts that single was not higher than Nr.14, but this song made JOY extremely popular in Asia. In 1986 JOY have been voted the most popular international act in South Korea - even more popular than Madonna and Michael Jackson. Their Asian tour, which took JOY in January and February 1987 to Bangkok, Hongkong, Singapore, Taiwan and Seoul, has been attended by more than 60,000 spectators. In Seoul, South Korea JOY have twice played for 12.000 people at the completely sold out Jamsil Olympic stadium, and performed a tailored version of their hit Japanese Girls – which got a special title Korean Girls. Immediately upon the end of their Asian tour JOY played a few concerts in USA, in California - in famous Shrine Auditorium, an in San-Jose - mainly for Chinese and Vietnamese audience. A picture taken in San Jose has later been used on a sleeve for "It happens tonight" single. In summer 1987 JOY has played many gigs in different European countries – including Portugal (twice), Spain and Italy. In between the shows, JOY have recorded a track called Destination Heartbeat, that became a sound-track for "Flucht in der Tod" film. Further in 1987, OK-Musica released a compilation – Best of JOY. To mark an arrival of the digital era, the compilation has been released on a new then sound-carrier – compact disc. In 1994 two members of the original line-up, Freddy Jaklitsch and Manfred Temmel, signed a record deal with BMG and released a new single - Hello, Mrs. Johnson. Shortly after, they’ve invited a new keyboarder, Johannes Groebl (30.01.60), and released one more single – Felicidad – in 1995. In 1996, the album Full of Joy was recorded and ready for release at BMG. The track-list, containing 12 tracks, has been finalized – and the promo-materials have been printed; however BMG made a decision not to release the album. In 1997, Freddy Jaklitsch and Manfred Temmel have created a band called Seer, which later became one of the most successful projects on the Austrian national music scene ever. However, in 2008 Manfred Temmel left Seer. In 2010, all the 3 members of original line-up decided to celebrate the 25th anniversary of their first success by a reunion. The musicians started working on a new album. On July 1, 2011, JOY have released a new LP entitled Enjoy. It contained 10 brand new tracks, as well as the new versions of such hits as Touch by touch and Valerie. All the backing vocals have been again recorded by Michael Scheickl. The album was released in Austria by the label Major Babies, and reached 21st position in Austrian national chart. In September 2011, the album has been released in Russia by a label CD-Land, and in Hungary – distributed by Hargent Media. On 15 July 2011, JOY performed in Estonia, at Viljandi Retro Fest for more than 7 thousands viewers from Estonia and Latvia. In 2012, Jaklitsch decided to devote all of his time to Steer and left Joy for good. Michael Scheickl replaced him on temporary basis. By 2014, Scheickl became a permanent member of the group. The current lineup includes, Andy Schweitzer, Manfred Temmel, and Michael Scheickl. In 2016, the band recorded a new single “Lunapark” with the assistance of Major Babies. In 2017, the label released a digital version of the song. The artists haven’t announced a new album yet. They are actively touring Europe and Asia.